Tom Smallwood beat the competition and the assumptions that his name arises in upsetting the reigning Professional Bowlers Association player of the Year, Wes Malott, 244-228 in the PBA World Championships on Sunday. 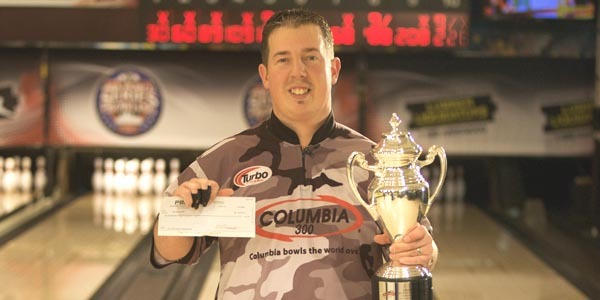 The former assembly-line worker for General Motors who was laid off nearly a year ago took home his first PBA Tour title, his first “major” title, a $50,000 first prize, a two-year exemption to continue his PBA Tour career and his first chance to bowl in January’s PBA Tournament of Champions. Always sure of his skill, Smallwood never attempted to get on the tour until after he lost his job, so he competed in the PBA Tour Trial in suburban Detroit, finishing 3rd and starting his bowling career. Ironically, Smallwood recently got a call from the General Motors jobs bank, offering him a chance to go back to work. the title of this post made me laugh.